“Infectious positivity” is the best way to describe Texas Medic of the Year Alex Aste, and that trait carries over into every aspect of his job at Acadian in Houston. Alex joined Acadian with plenty of experience. He has a bachelor of science degree in paramedicine, worked as a combat medic during two separate tours in the Italian Army, and saw action in Afghanistan on a Medevac unit. Alex came to the United States in 2011 to continue his education and received a bachelor’s degree in human biology with a minor in chemistry from the University of California San Diego. 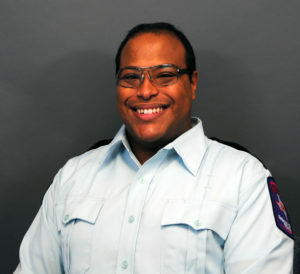 Unfortunately, when Alex moved to Houston with his wife, who was pursuing a law degree, his Paramedic certification was not recognized, and he was forced to start over with his EMS education. Now Alex is at the top of his class in the Paramedic program at Alvin Community College in Houston, and he’s looking forward to graduating in August and working again as a Paramedic. Alex always puts the customer first and provides exemplary service regardless of the situation—he already has an impressive number of commendations. He has had perfect attendance and has never been late for work since starting with Acadian in August 2016. He also plays an integral role in the Houston Life Gift Operations. In fact, if he isn’t at school or working an extra shift, you will find him serving as a Life Gift Operator.